Sides 1 to 5 of each movie: CAV, letterboxed, subtitled (out of picture), LD-G #1, bilingual commentary in analog (English right, Japanese left). Side 6 of each movie (extras, 80min. ): CAV, full screen, no subtitles, LD-G 1# & #2, mono, English in digital, Japanese in analog. 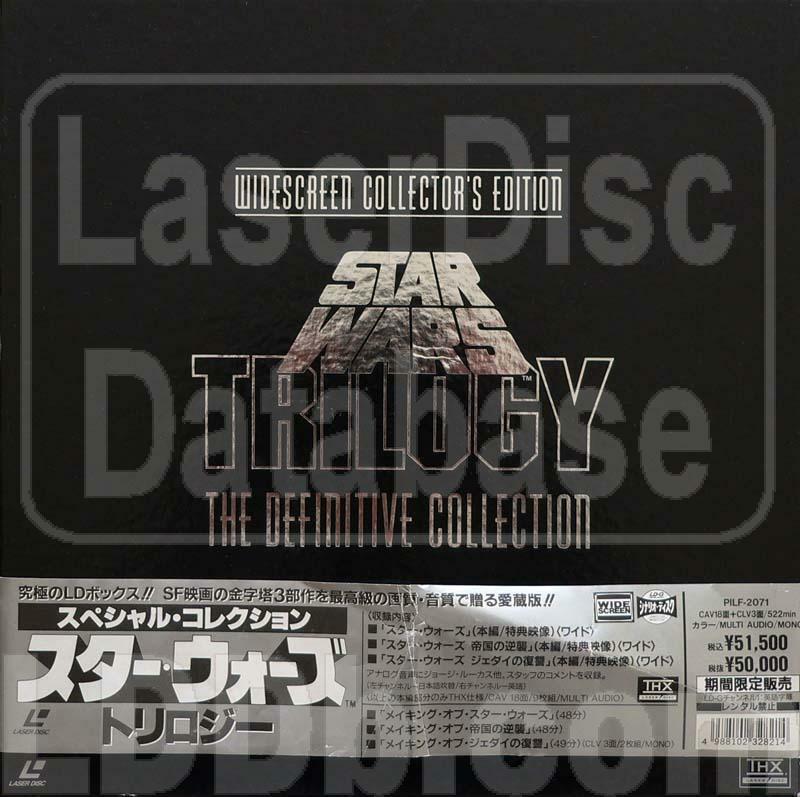 Disc 1 to 9 are in standard jackets, 3 discs (one movie) per jacket. Discs 11 & 12 (Making of a Trilogy, 145min. ): CLV, full screen, subtitled, no LD-G, mono, in gatefold jacket. 2 additional discs containing the 3 "making of" replace the hard-bound book on this reissue of [PILF-1757].